I like verse 19 today! "Then the Pharisees said to each other, "We've lost. 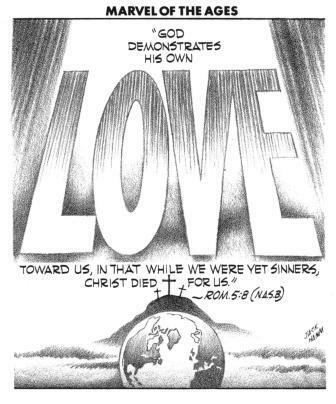 Look, the whole world has gone after Jesus!"" Unfortunately it was a bit of an exaggeration at that time and the 2,000 years following. But maybe in the future? How are you part of the Great Commission today? An image is below for verse 15 (originally from Zechariah 9:9) - ""Don't be afraid, people of Israel. Look, your King is coming, sitting on a donkey's colt." 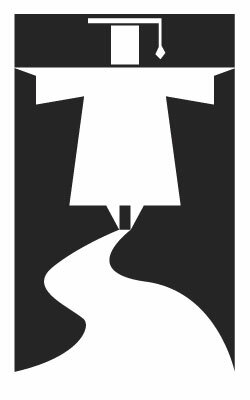 Proverbs - Proverbs 15 verse 24 is a beautiful meditation - "The path of the wise leads to life above; they leave the grave behind." Are you on the path of the wise? 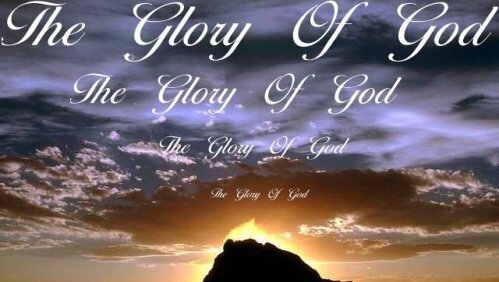 Worship God: Today's readings in John about Jesus remind me of the Chris Tomlin & Christy Nockels song "Glorious:"
Do you know our Glorious God? Click here for Glory! Prayer Point: Pray that you love Jesus above all else. Pray that you will indeed love and serve the poor in our world, but won't love this service to the poor or anything else in this world above your love for Jesus. 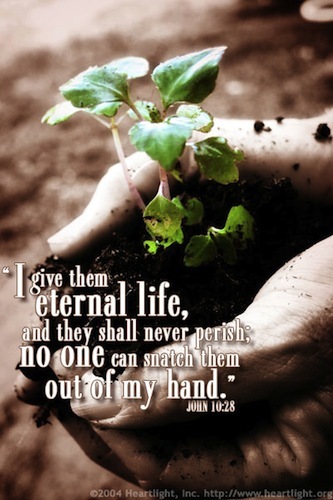 Pray that you will always have Jesus in eternity. And pray that the poor will too, through their saving faith in Jesus. Pray that you realize we are all truly poor if we are not in a saving relationship with Jesus. YouTube: Psalm 117 reminds me of Michael W. Smith's "A New Hallelujah!" Do you sing Alleluia? Click here and sing! Prayer Point: Pray in thanksgiving that Jesus wept like we weep. Pray in thanksgiving that Jesus knows pain and joy, as we do. Pray in thanksgiving that Jesus is our High Priest who like us was tempted in every way, but never sinned, and intercedes on our behalf before the Father. Comments from You & Questions of the Day: I read an interesting commentary today related to Jesus weeping in John. 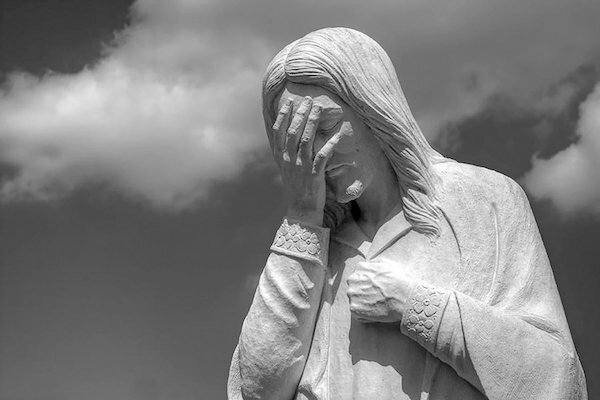 The commentary basically said that while we have recorded in Scriptures that Jesus wept, we don't have anywhere recorded in Scriptures that Jesus laughed. I had never thought about that before! The commentary went on to say that they are sure Jesus laughed and had a great sense of humor. But I find that fascinating to think about - that it's not recorded that Jesus laughed. Why do you suppose this is? Do you think Jesus laughed? Also, what verses or insights stand out to you in today's readings? Please post up by clicking on the "Comments" link below! Old Testament - Interesting chapters today! David is essentially put to the test by God over the next 3 chapters - 2 tests today and 1 tomorrow. And the test is this - obedience. You'll recall that Saul fails the test of obedience early in his kingship. 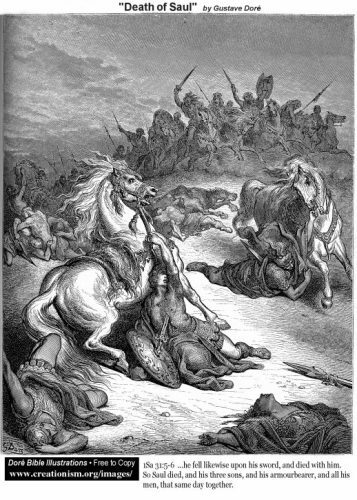 David passes the tests - he does not kill Saul and he does not kill Nabal. He could have killed both. 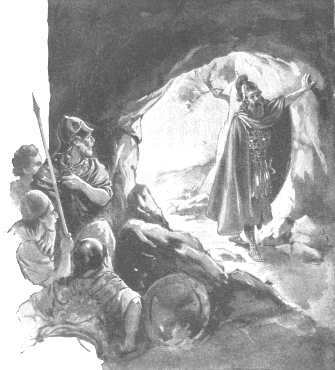 First Samuel 24 verses 5 through 7 are a great look at David's character when Saul was in the cave - "But then David's conscience began bothering him because he had cut Saul's robe. 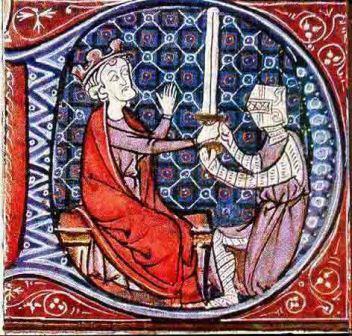 "The LORD knows I shouldn't have done it," he said to his men. "It is a serious thing to attack the LORD's anointed one, for the LORD himself has chosen him." 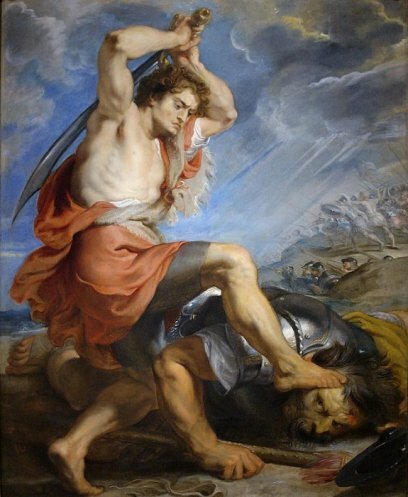 So David sharply rebuked his men and did not let them kill Saul." New Testament - John chapter 10 verse 30 is a powerful teaching from Jesus! "The Father and I are one." 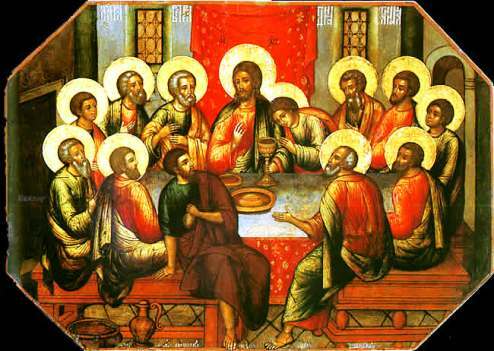 Many churches celebrate Pentecost, when the Holy Spirit descended upon the Apostles in the Upper Room after Jesus' ascension into heaven. Thus, rounding out the Trinity. (Bible.org has a great overview of the Trinity at this link.) The Father. The Son. And the Holy Spirit. 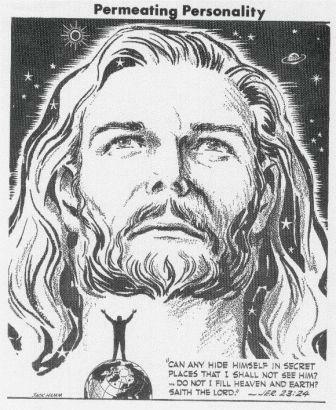 Do you believe Jesus when he says, ""The Father and I are one" ? 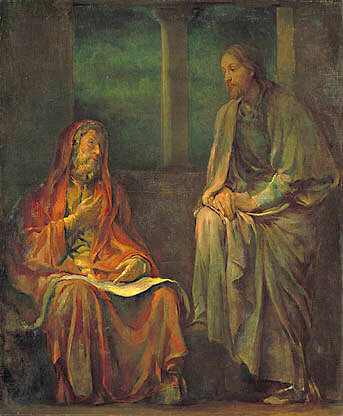 Jesus smartly quotes from Psalm 82 verse 6 in verses 34-36 today: "Jesus replied, "It is written in your own law that God said to certain leaders of the people, `I say, you are gods!' And you know that the Scriptures cannot be altered. So if those people, who received God's message, were called `gods,' why do you call it blasphemy when the Holy One who was sent into the world by the Father says, `I am the Son of God'?" Psalms - Psalm 116 verses 1 & 2 are amazing- "I love the LORD because he hears and answers my prayers. Because he bends down and listens, I will pray as long as I have breath!" How is your prayer life these days? Do you believe God bends down and listens to your prayers? And answers them? 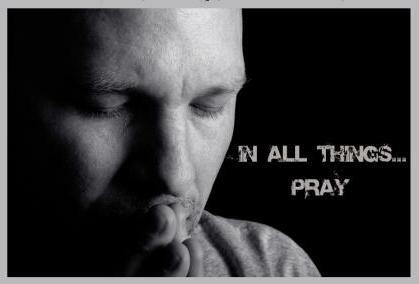 Will you pray as long as you have breath? Proverbs - Wow. Proverbs 15 verse 21 is convicting to me - "Foolishness brings joy to those who have no sense; a sensible person stays on the right path." Sometimes in the past I got joy from foolishness... not a good sign! And yes, I noticed sometimes that when I was getting joy from foolishness I was no longer on the right path... I'd strayed off a bit... God brought me back and welcomed me back on the right path once I got my senses. I pray we can avoid foolishness and the fake joy that comes with it. There is a difference I believe between healthy rest & play - and foolishness. We should know better. YouTube: Today's Proverb reminds me of the wisdom in Rebecca St. James' beautiful song "You are Loved:"
Do you know that you are loved? Click here for LOVE! Prayer Point: Pray that you fully know and realize that Jesus is God. Pray and worship Jesus as God. Pray to the Father, Jesus, and the Holy Spirit in thanksgiving for their blessed Trinitarian nature. Comments from You & Questions of the Day: How are you doing with discerning the difference between healthy rest & play and foolishness in your life today? Do you ever veer toward foolishness? Why do you suppose this happens? Is this healthy? What verses or insights stand out to you in today's readings? Please post up by clicking on the "Comments" link below! Psalms - Today in Psalm 115 verse 1 we will read – “Not to us, O LORD, not to us, but to your name be the glory.” (Chris Tomlin fans out there will recognize this as one of his many awesome worship tunes. . .) I don’t know how this verse strikes you, but it strikes me hard. Which is good. I think sometimes I do things for my own glory. And this verse, and really the entire Bible, is clear that the glory is God’s and not ours. Yeah, sure, we will live our lives full of “glorious” moments when we are loving God and loving people. But, we should not be living our lives to build up our own fame or our own glory. As Rick Warren states so well in the 1st sentence of the 1st chapter of his book “Purpose Driven Life”- “It is not about you.” And this is true. It is about God. And this is good news! Really. I have tried to live my life in the past where it was all about me. And this was a miserable way to live life. I pray that you see the incredible wisdom in this verse - “Not to us, O LORD, not to us, but to your name be the glory.” How are you living your life? Are you living your life to advance the fame and glory of God? Are you doing this by loving God and loving other people with all that you are? Or, are you by chance living your life to advance the fame and glory of yourself? And if so. . . how’s this going for you? Proverbs - Proverbs 15 verse 19 today teaches us: "A lazy person has trouble all through life; the path of the upright is easy!" This is a great reminder that we should live our lives upright, intentionally, and not be afraid of a little hard work! Worship God: Per Psalm 115:1 reflections above, here's Chris Tomlin's "Not to Us:"
Not to you? But to Your Name! Prayer Point: Pray in thanksgiving to Jesus for laying down his life for you, if you have given your life over in faith to Him. 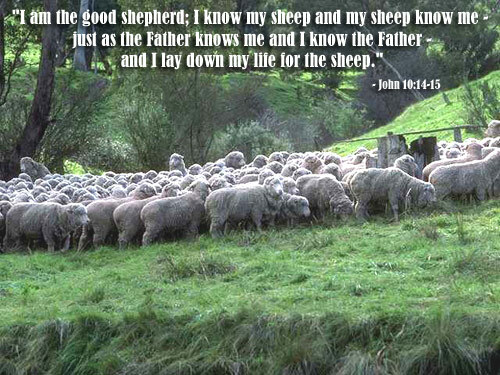 Thank him for being your Good Shepherd! 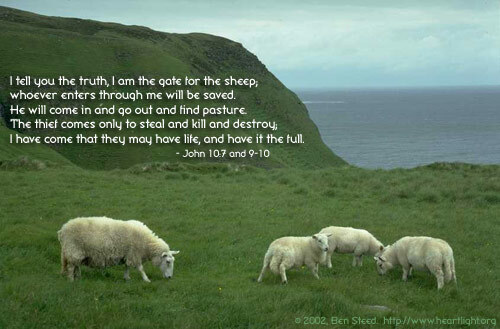 Pray for the lost "sheep" that you know, that they would come to know Jesus as their Good Shepherd. 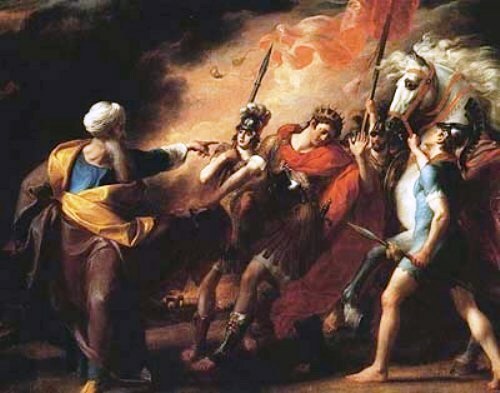 Old Testament - Great readings about Jonathan & David today! 1 Samuel 20 verse 13 today seems to indicate that Jonathan realizes that David will be the king after his father Saul: "May the LORD be with you as he used to be with my father." Verse 17 is beautiful - "For Jonathan loved David as much as he loved himself." Who are people in your life that you love as much as you love yourself? Do you think that there should be people in your life that you love as much as you love yourself? Do you love Jesus as much as you love yourself? Do you think that God loves you as much as He loves Himself? 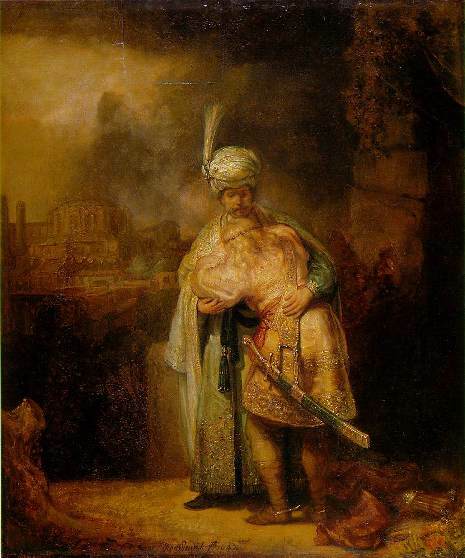 Below is the artist Rembrandt's take on Jonathan & David from possibly verse 41: "Both of them were in tears as they embraced each other and said good-bye, especially David." In First Samuel 21 as David is fleeing from Saul, we read verse 6 which Jesus refers to in the New Testament - "So, since there was no other food available, the priest gave David the holy bread--the Bread of the Presence that was placed before the LORD in the Tabernacle. It had just been replaced that day with fresh bread." 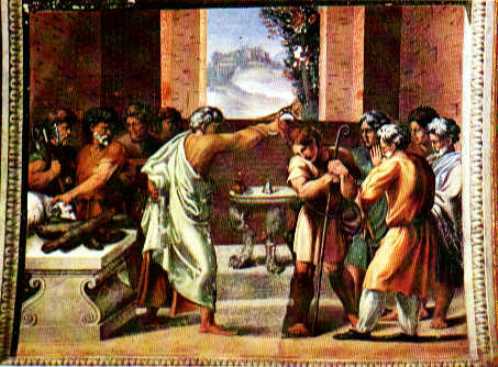 Jesus uses this incident to illustrate the principle that the ceremonial law was not to be viewed in a legalistic manner in Matthew chapter 12 verses 3 & 4 - "Haven't you read what David did when he and his companions were hungry? 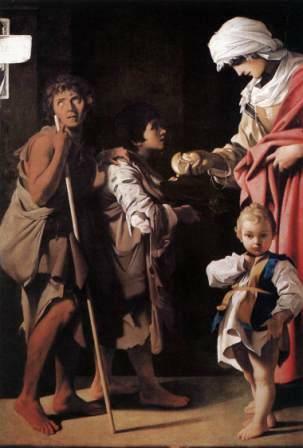 He entered the house of God, and he and his companions ate the consecrated bread—which was not lawful for them to do, but only for the priests." I love verse 13! David is definitely a good actor - "So he pretended to be insane, scratching on doors and drooling down his beard." Verse 27 is great when the healed man says - ""Look!" the man exclaimed. "I told you once. Didn't you listen? Why do you want to hear it again? Do you want to become his disciples, too?"" Hmmm.... Verses 39 through 40 are a dialogue that each one of us should reflect upon - "Then Jesus told him, "I have come to judge the world. I have come to give sight to the blind and to show those who think they see that they are blind." 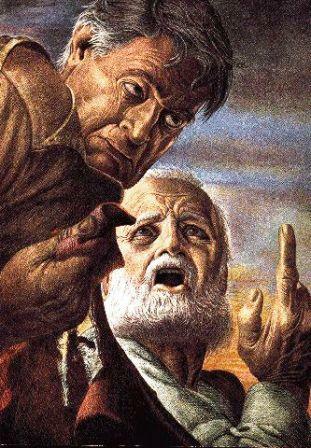 The Pharisees who were standing there heard him and asked, "Are you saying we are blind?" 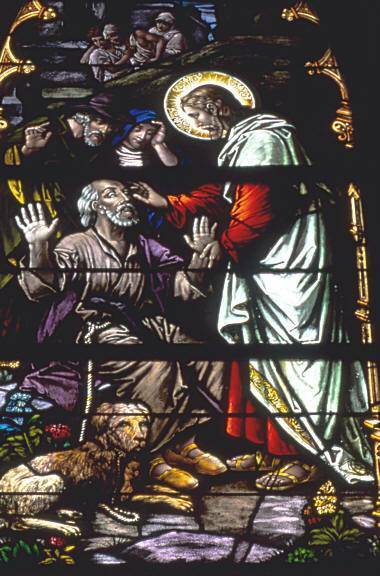 "If you were blind, you wouldn't be guilty," Jesus replied. "But you remain guilty because you claim you can see." How are we behaving today? Are we allowing Jesus to give us spiritual sight? Or do we think we can see well enough spiritually without Jesus? 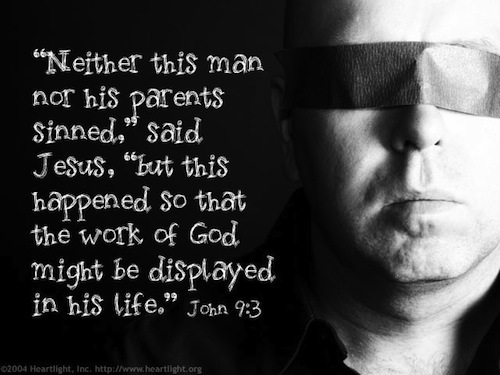 Without Jesus, can we see or are we blind...? 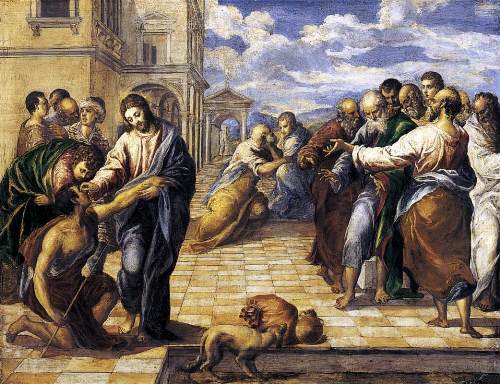 Will we allow Jesus to heal us of our spiritual blindness right now? Psalms - Psalm 113 & 114 today are very interesting and important Psalms! These are 2 of 6 Psalms, 113 to 118, that form the "Egyptian Hallel." These Psalms were used in Jewish liturgy at the great religious festivals of Passover, Tabernacles, Dedication, Weeks, New Moon. At Passover Psalm 113 & 114 were sung before the meal and Psalms 115 - 118 were sung after the meal. As you read these two Psalms today, do you sense joy in the Lord's work? Justice? Glory? Power? Does reading these two Psalms make you want to celebrate and give thanks for the Lord and all he has done throughout history and in your life? Worship God: Today's reading in John about Jesus healing a man born blind reminded me of Phil Wickham's song "Safe:"
Are you safe in His arms? Click here for Safety! Prayer Point: Pray that you will be content with little in your life, as long as you have the wealth of a relationship with the LORD. 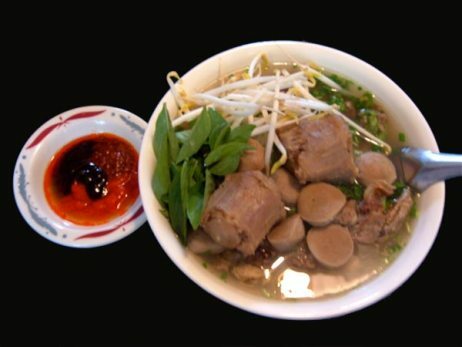 Pray that your meals are filled with more love than with fancy foods. Comments from You & Questions of the Day: Do you agree with today's Proverb that it is better to have just a little and fear the Lord versus having much and much turmoil? Also, what verses or insights stand out to you in today's readings? Please post up by clicking on the "Comments" link below! 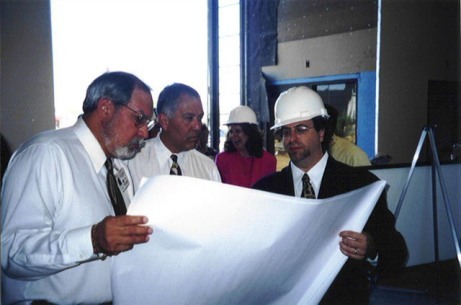 Old Testament - This is a powerful verse in First Samuel 18:14 today: "David continued to succeed in everything he did, for the LORD was with him." 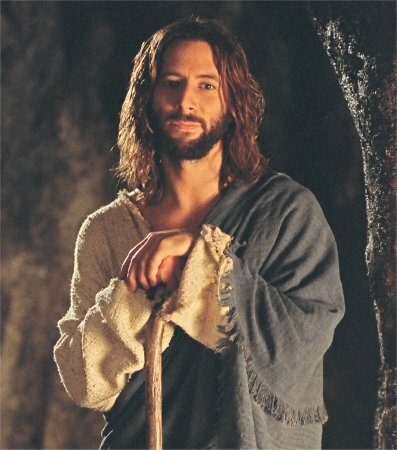 I think that is so important to know - David succeeded in all he did because God was with him. And I believe this applies to us today as well. We will succeed in all we do if God is with us. Now - don't get me wrong - when I say succeed, I do not mean "succeed" as the world might define this word. I mean we will succeed spiritually in all we do if we are in a loving and growing and obedient relationship with God the Father through Jesus the Son (who is God). This success might mean that we actually become "poor" in the world's eyes and serve overseas or in our own town in a ministry that won't make us a million. 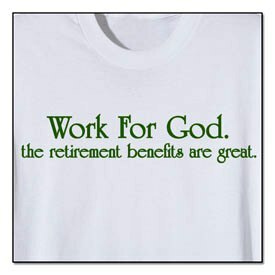 But - if we are living in right relationship with God than we have truly succeeded in life. Nothing else matters. 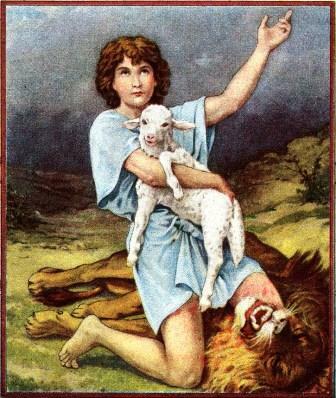 Below's an image of a young David succeeding in saving a lamb from the jaws of a lion and offering up praise to God for the success! 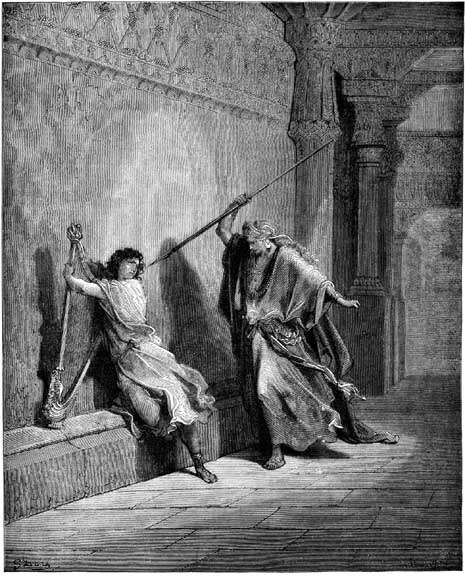 An image by Gustave Dore is below for First Samuel 18 verses 10 & 11: "The very next day, in fact, a tormenting spirit from God overwhelmed Saul, and he began to rave like a madman. 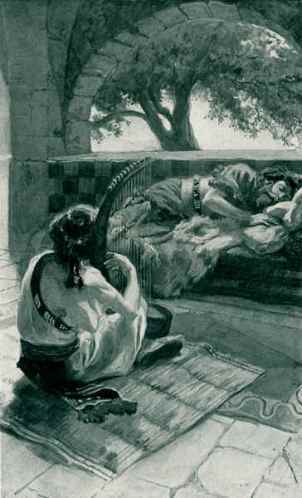 David began to play the harp, as he did whenever this happened. 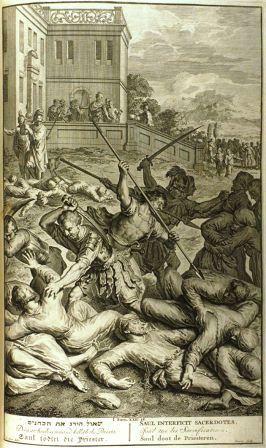 But Saul, who had a spear in his hand, suddenly hurled it at David, intending to pin him to the wall. 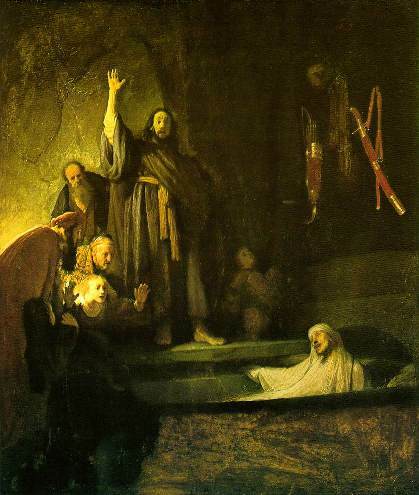 But David jumped aside and escaped." Psalms - Psalm 112 is a great look at a godly person's life. Today in verse 1 we read: “Blessed is the person who fears the Lord, who finds great delight in his commands.” Is fear of the Lord healthy? Why or why not? 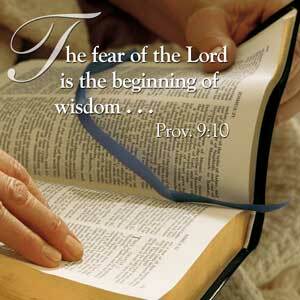 Is fear of the Lord the beginning of wisdom? Are you blessed if you fear the Lord? Do you find great delight in God’s commands? What are God’s commands? Worship God: Today's Psalm & Proverb reminded me of Casting Crowns' song "American Dream:"
Are you chasing the American Dream? Click here and surrender to Jesus! Prayer Point: Pray that you are not a slave to sin. 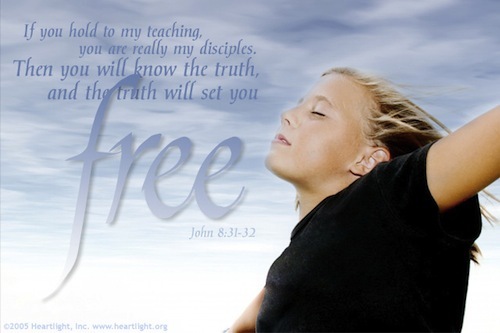 Pray that Jesus has set you free from slavery to sin, and that you are free indeed! Pray for your friends and family that are enslaved to sin that they will be freed through faith in Jesus and repentance of their sins. Comments from You & Questions of the Day: Can you imagine living your life feeding only on TV? Yikes... So, really, when you look at how you invest your time are you hungry and feeding on truth or perhaps are you feeding on some trash? Will you throw that trash away? Also, what verses or insights stand out to you in today's readings? Please post up by clicking on the "Comments" link below! Old Testament - We are beginning the story of David, which is always a blessing to read. As you know, David wrote many of the Psalms, so we’ve been reading some of David’s writings already this year. Now we begin his story! Hang on! This is a wonderful part of the Bible – reading about David and reading the Gospel of John at the same time. . . great stuff! Bob Deffinbaugh with Bible.org has a terrific overview of David becoming Israel’s King at this link. 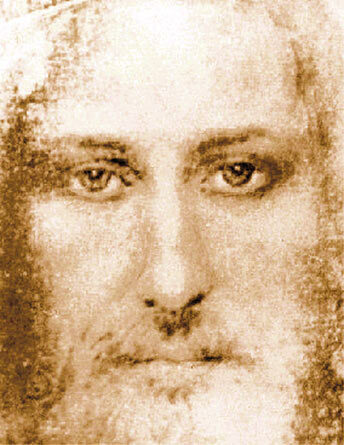 New Testament - I love John 8 verse 29 where Jesus says - "And the one who sent me is with me--he has not deserted me. For I always do those things that are pleasing to him." If Jesus always did those things that are pleasing to God, do you think that you and I should do those things that are pleasing to Jesus and to God? Meaning, it seems to me that Jesus was clearly very intentional with how he spent his time. He only did those things that are pleasing to God. How intentional are you and I in how we spend our time? Do we make sure we are only doing those things that are pleasing to Jesus (who is God) and God the Father? I know I don't. I wish I did. I pray that I will spend more and more of my time doing those things that are pleasing to God. Let us pray that Jesus' personality permeates our personality and all that we do! Psalms - Psalm 111 is a wonderful Psalm of praise! I love the way it ends in verse 10: "Reverence for the LORD is the foundation of true wisdom. The rewards of wisdom come to all who obey him. Praise his name forever!" Do you believe that reverence for God is the foundation of true wisdom? Do you believe that there are rewards of wisdom if you obey God? Will you praise his name forever? Proverbs - Proverbs 15:11 today teaches us: "Even the depths of Death and Destruction are known by the LORD. How much more does he know the human heart!" 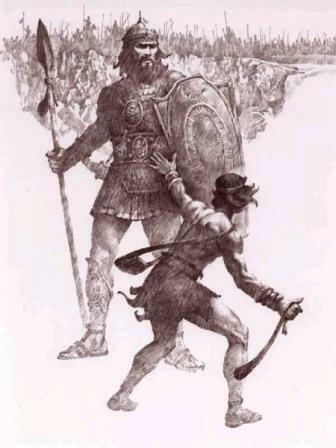 Do you believe God can defeat "Goliaths" in your life? Click here for Victory! Prayer Point: Pray that you will not attempt battles against "Goliaths" in your life on your own, but that you will realize the battle is always the LORD's. Pray that you will never trust your technologies over the LORD. Comments from You & Questions of the Day: Today's Proverb is a wonderful reminder that God not only knows us, he knows our very hearts! How is the state of your heart today? Does your heart belong to God? Also, what verses or insights stand out to you in today's readings? Please post up by clicking on the "Comments" link below! 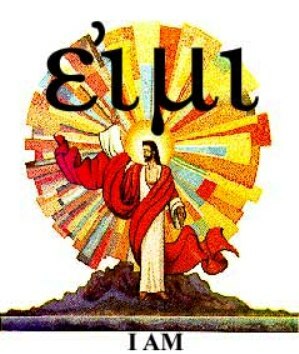 New Testament - I love John chapter 8 verse 12 today: "Jesus said to the people, "I am the light of the world. If you follow me, you won't be stumbling through the darkness, because you will have the light that leads to life."" 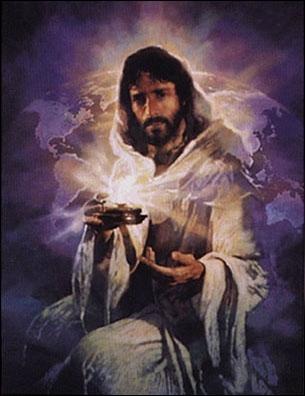 Do you believe that Jesus is the light of the world? Why would we want or need a light in this world? Do you believe there is darkness in this world? Do you need the light that leads to life? Verse 4 stands today, with very similar teachings to what we've just been reading about this in Hebrews this past week or so! Worship God: Much of today's readings reminded me of the book The Reason for God by Dr. Tim Keller of Redeemer Presbyterian Church in NYC. Here is Dr. Keller talking about this book - at Google's headquarters of all places! Do you believe God is reasonable? Click here for Reason! Prayer Point: Pray that you recognize your own sinfulness. 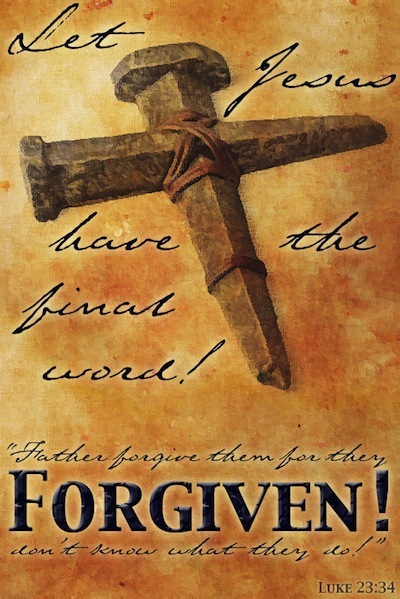 Pray that you have repented of your sin and placed your faith in Jesus' work on the Cross to redeem you from your sin. Pray that you will not "throw stones" at other sinners, like yourself. Comments from You & Questions of the Day: Today's Proverb is a great opportunity to ask yourself - 1. How's your prayer life? and 2. Are you pursuing godliness in your life each and every day? Also, what verses or insights stand out to you in today's readings? Please post up by clicking on the "Comments" link below! 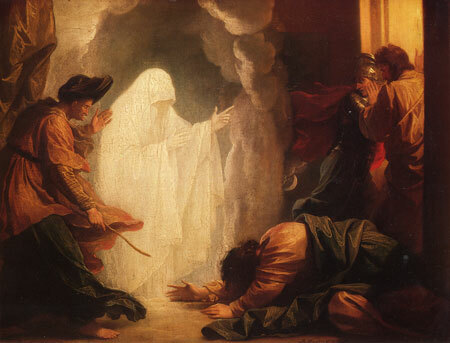 Old Testament - Interesting First Samuel readings today! 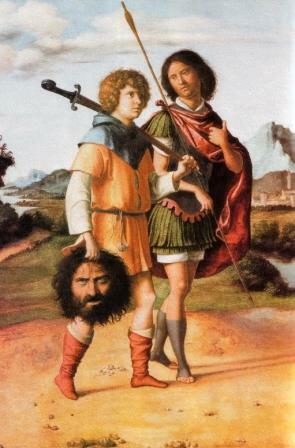 Jonathan was quite brave going to the Philistine camp like he did. Verse 6 was impressive: "Jonathan said to his armor bearer. "Perhaps the LORD will help us, for nothing can hinder the LORD. He can win a battle whether he has many warriors or only a few!"" 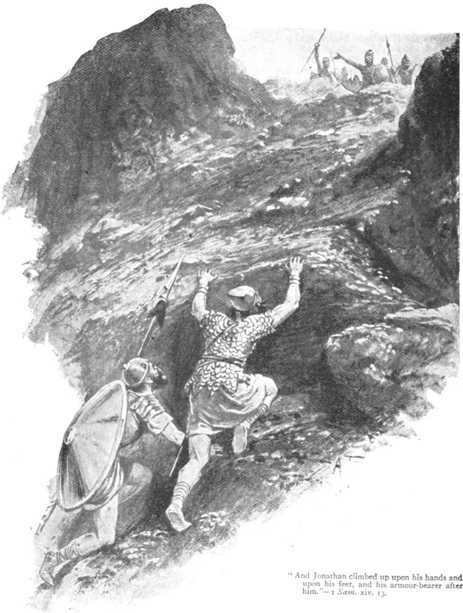 Fortunately God helped him with an earthquake and what looked to be some unique strength in verse 13: "So they climbed up using both hands and feet, and the Philistines fell back as Jonathan and his armor bearer killed them right and left." 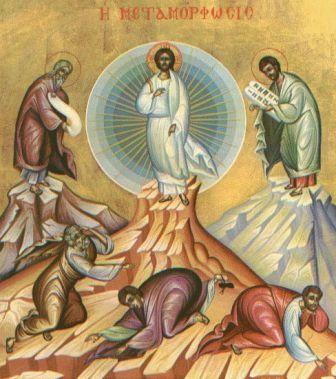 New Testament - John chapter 7 verses 37 & 38 are powerful verses for each of us to meditate upon - ""Let anyone who is thirsty come to me and drink. For the Scriptures declare that rivers of living water will flow from the heart of those who believe in me." Wow... these are powerful words from Jesus. And so true. I know that I have been very spiritually thirsty in my life in the past and Jesus has most certainly quenched that thirst in my life. And I do believe that rivers of living water flow from the heart of those that believe in Jesus. This is the Holy Spirit, which indwells within us when we are in relationship with God the Father through Jesus the Son. 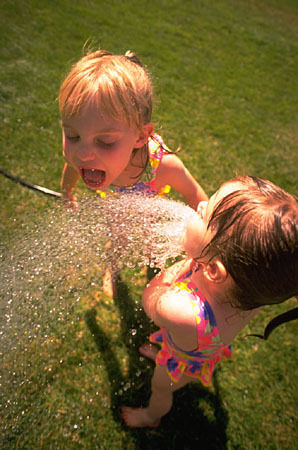 This living water flowing from our hearts - the Holy Spirit - is an intriguing topic. I know different folks experience the Holy Spirit in different ways. I do hope that each of us do tangibly experience the Holy Spirit in our hearts and lives each and every day. I do know there are some days where I really sense and experience the Holy Spirit in my heart and life. And there are some days where I may not - but I don't believe the Holy Spirit has departed. It's more likely that I'm just caught up in the hustle / bustle of this life and focused on the flesh / world and not the Spirit. Do you believe that rivers of living water will flow from the heart of those that believe in Jesus? Are you thirsty? 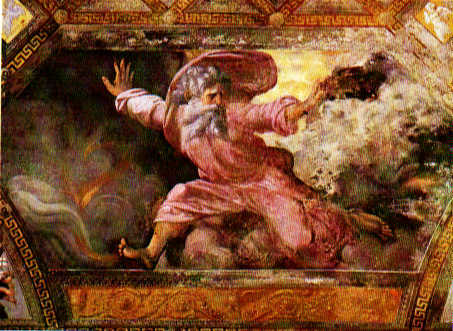 Psalms - Today in Psalm 109 verse 4 in the NIV we read these words of David – “I am a man of prayer.” Wow. I like that. And I’m not sure I can honestly say that about myself right now. Sure, I will roll out of bed and offer up some prayers. Yeah, I’ll try to say a prayer before meals. And yes, I’ll pray briefly before going to sleep. Oh yeah, maybe in church once a week too I’ll offer up some prayers. But, for me to say “I am a person of prayer” would probably not be truthful. Ouch. Don’t worry – I’m not beating myself up too badly over it. 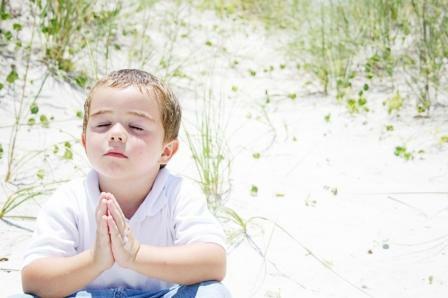 But - if I really want to realize that God is holy and a Rock and if I really want to love God and other people, then I have a hunch that being a person of prayer is a critical part of the equation. I don’t think that prayer is so much talking to God as it is really slowing down and listening to God. Sure, it’s a conversation, but I think in our fast pace world today we would do well to really slow down in prayer and listen to God. Listen for that still small voice within our hearts leading us to God’s kingdom and glory and peace. It’s there. I think it takes prayer to really hear it oftentimes. How about you? Are you a person of prayer? Do you want to be a person of prayer? When you pray, do you talk more or listen more to God? Do you want to live your life as a person of prayer? 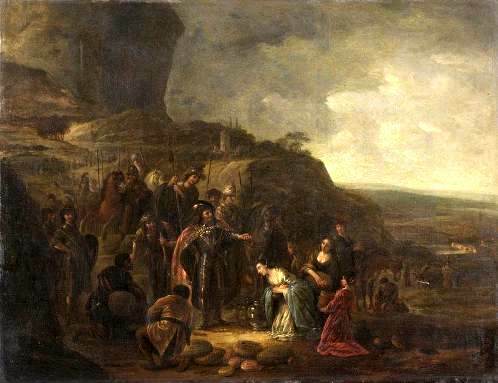 Bible.org's commentary on Psalm 109 titled "A Prayer for the Punishment of the Wicked" is at this link. 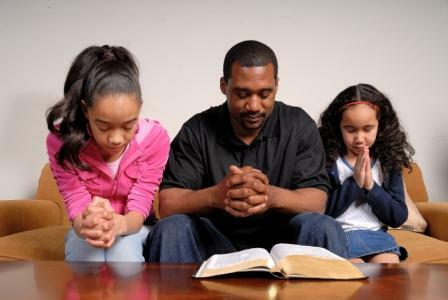 Proverbs - Proverbs chapter 15 verse 5 today makes me think about the godly discipline our Heavenly Father gives us... - "Only a fool despises a parent's discipline; whoever learns from correction is wise." Have you fallen down at the feet of Jesus? Click here and fall! Prayer Point: Pray that your spiritual thirst has been quenched by your faith in Jesus. Pray that streams of living water - the Holy Spirit - is flowing within you today and forevermore. Comments from You & Questions of the Day: Are you learning from God's discipline of you? Or, do you despise God's discipline at times? Which is the better road to go? Also, what verses or insights stand out to you in today's readings? Please post up by clicking on the "Comments" link below! Old Testament - I like First Samuel 12 verse 7 today when Samuel says this to the Israelites: "Now stand here quietly before the LORD as I remind you of all the great things the LORD has done for you and your ancestors" Just like the Israelites needed reminding all the great things God has done, we need reminding today as well. 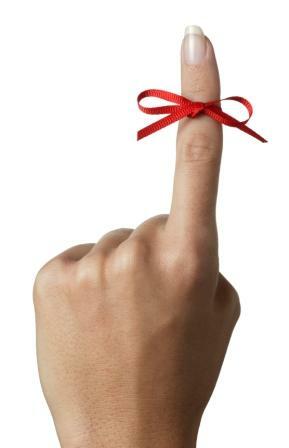 We are a forgetful people. I honestly believe reading God's Word, the Bible, each day is a great way to "remember" all that God has done for each of us and our spiritual ancestors. I know that I need this daily reminder... How about you? 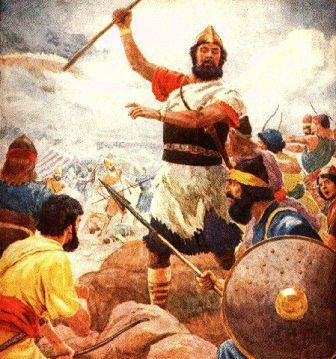 Bible.org's commentary on our First Samuel readings today titled "Renewing the Kingdom" is at this link and commentary titled "Saul Sacrifices His Kingdom" is at this link. New Testament - Hmmm... I found John chapter 7 verse 12 intriguing today as it said this about Jesus - "There was a lot of discussion about him among the crowds. Some said, "He's a wonderful man," while others said, "He's nothing but a fraud, deceiving the people."" Does this verse sound familiar to you at all? Maybe like something we would hear about Jesus or Christianity in our modern world today? "Jesus & Christianity is wonderful. Jesus & Christianity is nothing but a fraud, deceiving people." Times really have not changed much have they? Jesus' words in verse 17 are powerful - "Anyone who wants to do the will of God will know whether my teaching is from God or is merely my own." I like that - if we want to do the will of God, we will know whether Jesus' teaching is from God or is his own. Do you want to do the will of God? 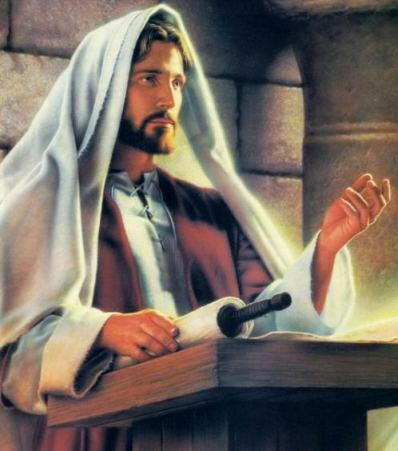 When you read Jesus' teachings in John, do you know that his teaching is from God? Bible.org's commentary on John chapter 7 readings today titled "Jesus in Jerusalem at the Feast of Tabernacles" is at this link. 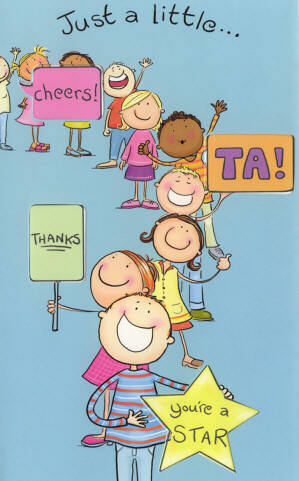 Psalms - I love Psalm 108 verse 1 today: "My heart is confident in you, O God; no wonder I can sing your praises! Wake up, my soul!" Is your heart confident in God? 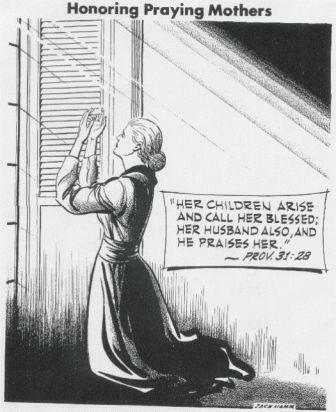 Do you sing God's praises? Is your soul awake? Or does your soul need a wake up call? Where do you suppose you can find that wake up call for your soul? The Bible? Jesus? The Holy Spirit? God? Will you answer the call today? Will your soul wake up? 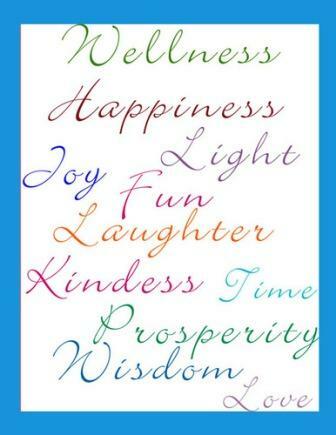 Proverbs - I also love Proverbs 15 verse 4 today - "Gentle words bring life and health." Worship God: John 7:12 reminded me of the Casting Crowns song "Every Man:"
Do you believe there is hope for every man (and woman)? Click here for Hope! Prayer Point: Pray that your tongue produces gentle word to others in your life - words that are a tree of life. Pray that you would never speak with a deceitful tongue, which crushes the spirit of others. Comments from You & Questions of the Day: Based on our Proverb today, do you bring life and health to those around you each day with gentle words? Also, what verses or insights stand out to you in today's readings? Please post up by clicking on the "Comments" link below!